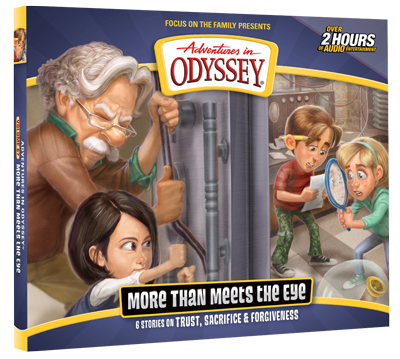 The fansite devoted to Adventures in Odyssey that anyone can edit! We are currently editing over 7,386 articles, and you can help. Several of the episodes we had listed for Album 67 were made up by a fan and will not be a part of the upcoming album. We've removed these false episodes and updated our episode lists. We apologize it took us so long to correct the errors. The cover for the upcoming Album 67 has been released! To see it, along with information about its title and episodes, and for pre-order information, see Album 67. Have You Heard the AIOWiki Podcast? Even if you haven't, we'd still appreciate your feedback! We don't get a lot of feedback about the AIOWiki Podcast, so we've made a poll for you to fill out. If you're reading this and know anything about the podcast (or even if you don't), please take the time to respond! We'd appreciate it. UPDATE: We have 23 responses so far! Can we get to 25 responses? Thanks to everyone who's submitted feedback! Writer-director Kathy Buchanan and sound designer Christopher Diehl journey to Africa (in one case, literally) for the latest Club exclusive adventure In a Sun-Scorched Land. Plus, hear a preview of Between Camp and a Hard Place, Part 1. Eugene Meltsner: You really should read more history. Connie Kendall: How'd you like to be history, Eugene? For more information about upcoming episodes, see Album 66: Trial by Fire, Adventures in Odyssey Club: Season 6, and 2019 Season. This page was last edited on 25 March 2018, at 13:36.